In the 1960s an entirely new element was introduced to Park City. Long-haired hippies began moving in. “The miners did not like the hippies, there was a clash of worlds.” Unlike many miners, Gary Kimball embraced a lot of what they brought. Greg Schirf from Milwaukee Wisconsin was deciding what he wanted to do after graduation. His older brother was traveling across various western ski towns, from Telluride Colorado to Beaver Creek to Aspen. 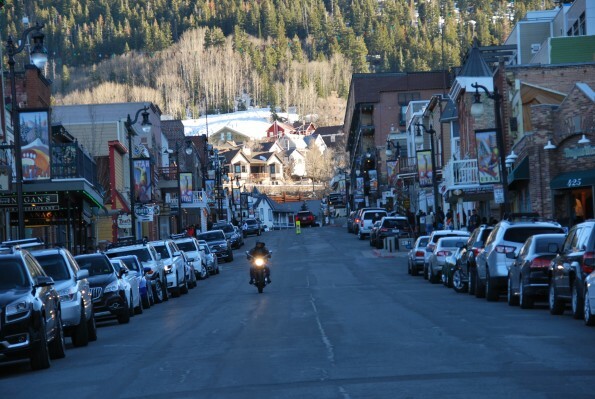 He entered Park City and found a town that was largely “undeveloped” like the former more popular ski towns he had visited. “When I first came to town there were only two or three bars on Main Street. One of them was the Cozy. It was a miners bar. We went in there with our hair down to our [backs]. But it was the only pool table in town.” The Cozy, The Red Banjo and The Claim Jumper were the well-known establishments. “When I came to town I was still deliberating on whether I wanted to stay in Utah.” Schirf adds, “Then I met a guy, who is still my best friend, his name is Jan Wilking. Together Jan and Schirf started a newspaper aptly named, The Newspaper. Schirf eventually sold out of the business to his friend Wilking, who went on to purchase the Park Record and start the Lodestar Magazine. 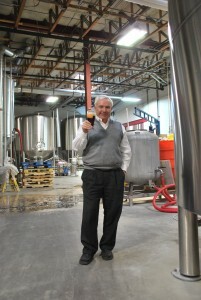 Schirf had other aspirations, mainly the crazy idea at the time, to start a brewpub in Utah. Schirf’s idea “percolated” as he put it, for years. But he worked on it by beginning to understand the problems and difficulties. Gary Kimball remembers hippies picking hops out of his yard. “Probably Greg Schirf was one of them,” he said. “First I had to get the law changed because brewpubs weren’t legal. So that was kind of a prerequisite.” Schirf found a very receptive city manager in Irene Lobel who had heard about his idea to do a brewpub on Main Street. She told him to get an appraisal of the property he wanted and he then could purchase the property for half of the appraised value. Schirf says she did this, “just to get us on Main Street, because there were so many boarded up properties fit for demolition.” Simultaneously Schirf worked with Mike Demetrick, to make brewpubs legal in Utah. In the early 1990s I remember walking up the sleepy Main Street of Park City seeing steam rising from a building at the top of the street. Drawn by the display we headed up and found a bright shiny copper tank inside a window. Outside we could smell of fresh malted barley, a tank full of boiling wort. Wasatch Brewing Company was a spectacle, and onlookers were in awe. But Wasatch Beer was dark amber colored, frothy on the top, rich in color and flavor , it was unquestionably a much better product than Coors, Bud and Milwaukee’s Best. After tasting Wasatch, beer became not a means to an end, but a means to enjoy one of life’s simple pleasures. 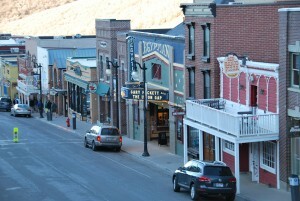 Park City February, 2015: Nearly every building in Main Street has been thoughtfully remodeled. The Egyptian Theater hosts local theater, music and the Sundance Film Festival. 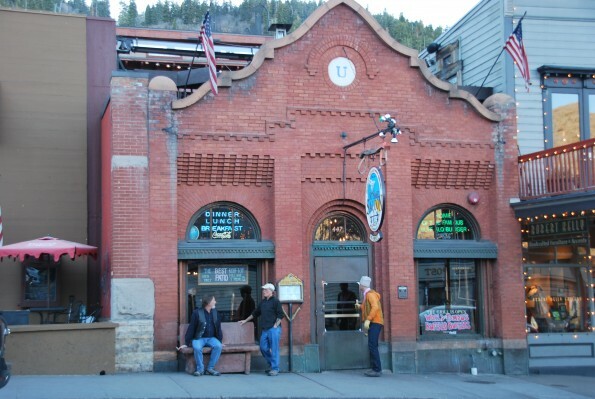 The Red Banjo is one of the longest-operating businesses in Park City. Not long after Park City realized the success of Wasatch brewing other investments came to the street. Bill White opened Grappa in 1993 and five more restaurants in the coming years including Chimayo and Windy Ridge. Dolly’s Bookstore and the Eating Establishment opened in the early 1970s and they realized increased success. 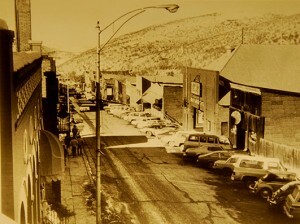 High-end retailers such as Norsk Leather and Furs opened in Park City in the early nineties, along with the art galleries such Meyer and the Iron Horse. Boarded up buildings found new life with successful local entrepreneurs. The Egyptian Theatre realized a complete remodel and Bob Redford decided to start a little film festival in the town called “Sundance“. The rest is history. See our follow-up article on the Salt Lake mansions that mining built.